This is the coolest laser that Wicked Lasers has ever offered. This is the latest version of the S3 Krypton series and the thing has 1W of power. The beam is bright enough to be seen for 85 miles. Considering the atmosphere stops at 65 miles the beam will reach space. Wicked says you shouldn’t shine the laser at satellites because the beam could mess up sensors on the satellite and it could blind pilots. 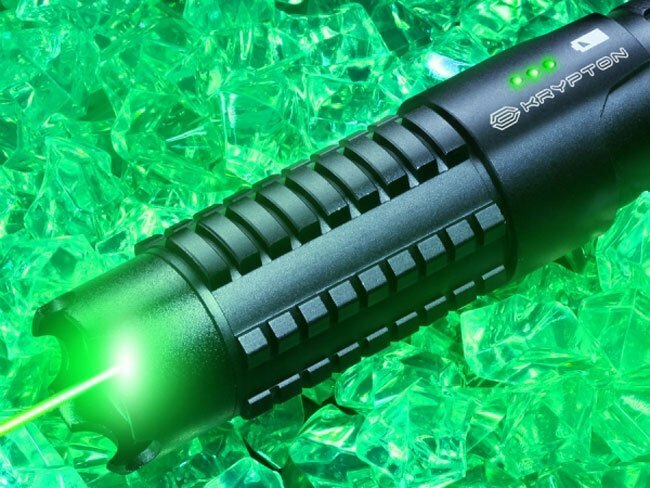 The massive 1W laser is $999.95 making it one of the most expensive that Wicked offers. The laser is said to be 8,000 times brighter than looking at the sun and produces 86 million lux. That is a massive bright beam. I bet it could burn and melt things easily. You can order one now if you want.